I wrote this list of tips for principals to inspire, challenge, and develop effective school leaders. I do this by creating consistent content throughout the week via the blog. 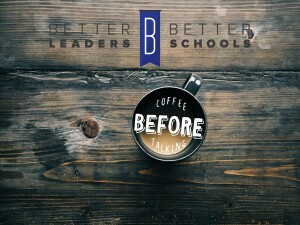 I’m also working on a podcast that will interview highly effective principals in order to share the strategies and wisdom they have learned through experience and mistakes. People love to read lists. 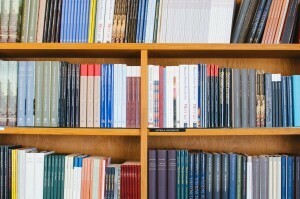 Especially lists of “tips” that can help an individual accelerate their understanding of a given topic. I thought it would be a great challenge to write an exhaustive list of tips for principals. Since this blog targets effective school leaders, I searched on Google tips for principals and found lists of 5, 10, even 50! They were good lists, but I wanted to make a better list. 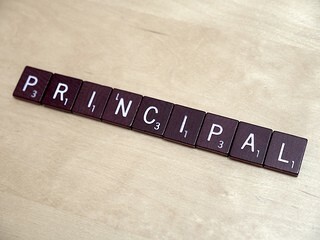 What Makes a Great School Principal? The following list took a lot of time to generate, but it was a fun challenge. I hope you find value in the following list. If you know someone that would benefit from a list of 200 tips for principals then please consider sharing on social media. It is broken down into different segments and I write a few sentences describing each of the tips for principals. Browse the list and please consider leaving a comment at the end. I’d love to connect and know what you think! This acronym was coined by John Lee Dumas, “Follow One Course Until Success.” Effective school leaders FOCUS. 2. Separate the Essential vs Non-essential. The best book I read in 2014 rocked my world with the idea of Essentialism. Just like FOCUSing not every task is important. Seth Godin is someone you need to know if you don’t already because he has a simple way of writing while communicating bold and brilliant ideas. The tagline of his book, Linchpin, communicates the idea perfectly – Are you indispensable? Another shout-out to Seth here. He offers an interesting take on leadership in his book Tribes. People need connection, community, and leaders. It’s time for you to step up and do it with integrity. 5. Establish your values … and stick to them. Do you know what you stand for … what is most important to you? Write down your values. Post them on your office wall and live them out. In kindergarten you learn that you can’t always have it your way. Remember that “boss” is just a title. It doesn’t mean you get to have your way. 7. Honor people before your vision. An inspiring vision can fire up a staff to move an organization to unprecedented levels of success. However, a good school leader will never be great and accomplish her vision if she puts the vision in front of her people. If you want to optimize your performance mentally and physically you will prioritize eating well. … and you’ll start or continue exercising. Plus exercise is a great stress relief and some of my best ideas have been generated outside of the office while lifting or running. It is very easy for me to get drawn into a project if I’m experiencing flow or non-essential tasks like email if I don’t budget my time wisely. By taking frequent breaks I stay fresh, FOCUSed, and throw all my energy at the appropriate project in front of me. Hit the pause button. You’ll be more productive over the long haul. Everything I’ve read about leadership and everything I have experienced has taught me that leadership is about building relationships. There are no super-men or super-women. There are only super relationship-builders that have a staff willing to accomplish a leader’s vision. As you develop your relationships within the organization take note of everyone’s strengths. Build your team on complimentary pieces. In fact, build the team to bolster your weaknesses as a leader. Effective school leaders build teams that can support their efforts. Leaders tend to be accomplished, hard working, and smart. But that doesn’t mean a leader should do everything by herself. Delegate. Ask for help. You’ll live a lot longer and happier if you do. I wrote a post on this called “Take Off the Mask.” Vulnerability leads to authenticity and trust. When you have trust there is nothing you can’t accomplish. This is a great activity because reflecting on the day helps effective school leaders focus on the results and begin to understand why things work or fail. Plus, who know, you might want to write a book one day! If you exist in a vacuum natural talent will only get you so far. 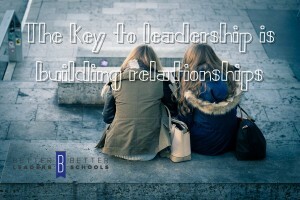 Effective school leaders connect with others that can help them accelerate their growth and pass their knowledge on to as well. Look for people 5-10 years older doing what you want to do in the future. How can you add value to their lives in order to spend time learning from them? Just like networking, sometimes you need to invest financially in your own development. We do this through continued education and now it is common to do this with masterminds. By meeting regularly with equally driven leaders, individuals can accelerate their leadership development and crush their personal and professional goals. By the way, I organize education masterminds, but seats are limited and they open once a quarter. Travel. Learning. Networking. This makes a leader better. Now, if you are extremely busy and cannot take time away from work to attend this conference, then I strongly encourage you to pick up the report I’m writing based on key leadership takeaways from this conference. Have you met a strong leader who wasn’t a reader? 20. Learn from other industries and adapt. The main way I do this is through consuming blogs and a bunch of podcasts. I’ve also made incredible connections on Twitter and LinkedIn. I steal great ideas and adapt them to the school environment. Technology in a lot of ways can make your job easier. I love Evernote for notes, Google Docs for collaboration, and #slack for communication (on steroids). I can’t get enough of Twitter and LinkedIn to learn from others and make great connections. With the constant notifications and endless information competing for our attention it is best too put away technology to complete real work. Plus, people talk about you, if you’re always on technology and don’t acknowledge the other human beings at the workplace. Don’t be rude, put your phone away! I have found immense value in processing the complexities of life with a trained professional. Recently, I had to cut back on some activities because I was in the red and if I stayed there much longer it could have been disastrous. I don’t know if I would have had the courage to move on without professionals help. Connecting to a Higher Power has helped me realize that help is available and I don’t have to be perfect, have all the answers, etc. Praying has given me extraordinary peace. My favorite verse to pray is Philippians 4:6-7 which states “Don’t worry … pray about everything and tell God what you need … then you will experience peace that surpasses human understanding” (my rephrasing). Even if you are not connected to a Higher Power, meditation can help center, calm, and focus the mind. Who wouldn’t want that going into the workday?!? 25. Go to bed early. Just like eating right and exercising, there is immense value in getting appropriate rest. I make terrible decisions when I’m tired and I’m no fun to be around. I love Michael Hyatt’s post on the importance of rest. Are you enjoying this post? If you are I’d be honored if you shared these tips for principals. I fought my mom doing this my whole life, but recently it made sense to me. Making your bed is something you can control every morning. It’s the easiest most consistent win of the day. Depending on the volatility and challenge of your job, this might be the only win you get every day. And it looks nice when you get home. 27. Establish a morning routine. Making the bed. Eating breakfast. Praying. Goal setting. Having a consistent morning routine can help you be more productive each day and accomplish more goals. The school is not your home. Leave it. Your family and friends will thank you for it. You won’t get time back and that “one last thing” so important to finish really isn’t. Your job won’t be at your funeral. 29. 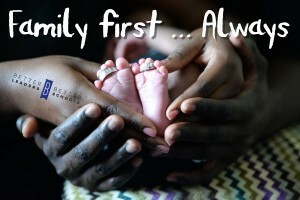 Spend time with your family. Get recharged by spending time with the most important people in your life. It’s hard to give to others when you have nothing to give. Fill your love tank by spending time with the family and then share the love! Sally Hogshead and her research team has come up with a product that unpacks how the world sees you. She describes this as your natural superpower. Isn’t that great? By understanding how the world sees you, an individual can play to his strengths and be careful to avoid common ways people are turned off by your personality. For example, I learned that I am seen as a Victor. People see me as a leader with a credible voice. I have to be careful not to overpower or seem disinterested during debate or discussion. You can take the Fascination test and get your report here. Resting, recharging, and refueling is essential to effective school leaders and their ability to optimally perform. Take a fun vacation somewhere sunny that serves drinks with umbrellas in them. You deserve it. 32. Establish a “Yes … And” mentality. “Yes … And” is an idea from improv comedy. Improv fails miserably when people say “No” to each other. In contrast, if the actors have a “Yes … And” mentality they play off each other and keep going with the sketch no matter what their partner does. People feel great and connect when you “Yes … And” them. Being a leader is not about you. It is about other people. I love this quote by Bill Hybels, “Everyone wins when a leader gets better.” It says everyone wins, not just the leader. Bob Siegel wrote in his book Learn to Lead with Love, “My goal is your success.” That is a mindset of a real leader. Who wouldn’t want to work with someone like that? Honor in any organization is so important. According to Dan Pink in his book Drive, people want the following things from their work: autonomy, a chance to show mastery, and purpose. I won’t argue with an expert. I think that list is spot-on, but I will add two more: people want feedback (how am I doing?) and they want recognition for mastery. How often do you celebrate your staff? 36. Quiet the Lizard and Slay the Impostors. I recently wrote about this topic after I received my first negative comment on a post (I’ve made it!). We all have a negative voice in our head. Effective school leaders learn to quiet this voice and slay the impostor. Here’s a tip … the quickest way to get people’s eye balls rolling and lose trust is by being inconsistent. Know who you are and stay true to your values. Be consistent in everything that you do. I stole this idea from my friend D’Andre Weaver. He holds office hours each Friday an hour before school starts. This gives the staff uninterrupted time to meet with him and discuss important issues without having to worry about a class starting or getting home to feed the kids. The calendar is my friend. It tells me where I need to be and when. If I didn’t use the calendar on my phone and computer I would have no idea what was going on in my life. Don’t waste time fixing your weaknesses. 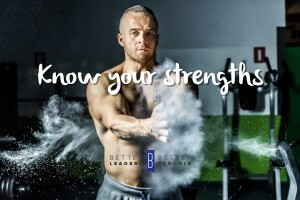 Build a team to support those and focus on maxing out your strengths. The best tool I used for this was taking the Strength Finders 2.0 assessment. This assessment shows you exactly what your tops strengths are and discusses them in the textbook. My top strength: Activator. Once I see a good idea, I am full steam ahead! Taking this assessment in a team setting is useful. Using that data I can put people around me that are more methodical and analytical. Together we make a great team. I push to implement quickly while others can help think through all the scenarios around a certain decision, strategy, etc. 41. Develop Level 5 leadership. Level 5 leaders are the best according to Jim Collins. What sets them apart from other leaders is humility. They still have incredible drive and passion, but it is for the work and the organization. It is never about them. Click here to hear Jim Collins explain it, or better yet see him talk about leadership live. 42. Be the best at multiple one thing. Remember FOCUS? Effective school leaders are not a jack-of-all-trades. Despite what others may say. Be really darn good at one thing. Be the expert. Hire others to be good at other things. Write your plans, strategy etc. in pencil. You can always revise and make it better that way. 44. Communicate the vision consistently. Inspiring vision casting isn’t that hard to do a couple times. What is hard is communicating consistently and keeping everyone FOCUSed on the vision. I mentioned that inconsistency is trust breaker. So is not holding people accountable. Think of the worst class and worst teacher in your school. I bet that teacher is a low performer because they struggle with holding kids accountable. People want feedback and your job is to help people perform better and get the best people available for the community. Don’t be a coward, hold people accountable. 46. Develop an attitude of gratitude. Every morning I write down 3 things I’m grateful for. I do this to develop an attitude of gratitude. I wish it came more natural to me, but a mindset shift is around the corner if I stick with this daily discipline. 47. Write thank you cards. Donald Peterson, a former chairman at Ford, hand wrote short, sincere, positive messages to people he worked with everyday. He argued, “The most important ten minutes of your day are those you spend doing something to boost the people you work with” (Patterson, Grenny, Maxfield, McMillan, Switzler, 2013, p. 259). You’re fooling yourself if you think you’re the only one with influence, or even if you have the greatest influence in the organization. Look for others that have influence and empower them. Now you’ve maximized your influence potential. Click here to grab a great text on influence. 49. Control your portion size. 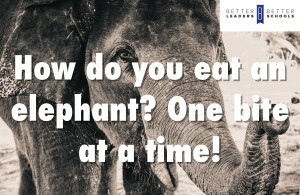 Have you ever heard the saying, “You can’t eat an elephant in one bite”? Well don’t do this as a school leader. Change is hard and takes time (actually it takes one bite at a time). 50. Establish a 20 mile march. This is another Jim Collins value bomb! Jim discovered this when researching why companies thrive during chaotic times when most others fail. The 20 mile march was a key reason why. It is a benchmark set that you accomplish each year. No more. No less. It establishes consistency. It establishes restraint during good times and high expectations during challenging times. 51. Fire bullets then cannonballs. The Jim Collins trifecta has occurred! I love this metaphor. Basically pilot an idea before going building-wide. Have you ever seen a failed school-wide attempt at strategy “X”? I wonder if it would have been more successful if it was piloted before going “All in”? Read more about bullets, cannonballs, and 20 mile marches in this text. I have never heard of someone who didn’t like another person because they were too generous. People love it because generous people are awesome! Are you generous with your time, attention, feedback, and compassion? This is a challenge for most schools without a real budget for celebrations and perks. The best creative idea I’ve come across is from Jeff Zoul. I wrote about him here, but more importantly, what he and his team does to honor teachers is take over their class for a day. The honored staff member gets a paid day off. Jeff also likes it because it helps him stay connected to the classroom as an admin. This idea come from Google lore which states that some of the best Google ideas (e.g. Gmail) were created during 20% time. 20% time is time spent on creative projects and passion projects. 80% of the week is spent on regular business and 20% is spent on passion and creativity. Then Google holds a big showcase where staff present their best ideas and the organization moves forward through this collection of innovation. How can we do this in schools for teachers and students? Chris Kesler has an answer for the student question at least. “Take Off the Mask” has been a popular post of mine. People gravitate toward authenticity. In schools we say that kids can tell when you really care. Guess what? So can the adults. Through outstanding partnerships our students have received (for free): internships, Mac labs, Computer Science labs, a trip to the Netherlands (for 8 students), and much much more. Form relationships with key businesses and influencers in the community. Serve them. Your staff and students will thank you for it. Develop a list of go-to phrases that will help every day in your interactions with staff and students. I developed 15 Phrases of Effective School Leaders as a free gift to my tribe. Download it today if you haven’t picked it up already. 58. Get curious when upset. One of the best things I’ve learned from Crucial Conversations is to get curious when upset. Often we tell ourselves stories about other people when we are upset. This is never productive for a relationship and rarely are the stories we tell ourselves true. Get curious. Ask questions and find out what is driving the behavior. Joseph Grenny discusses it here in this video. 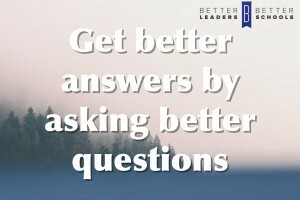 Tony Robbins coined the phrase “Get better answers by asking better questions.” Often we ask easy and low level questions. Ask better questions. Learn from others that are more experienced and doing what you want to do in 10 years. Join an education mastermind to learn how to ask better questions. 60. Use the right data. Like notifications, school leaders are bombarded with data, but not all of it is good. Have you established where you want to move the needle in your organization? If you have then focus on that data. Only. I love this term. It is a valuable move in basketball and a strong move effective school leaders are unafraid to make. To pivot means to look at the data and make a change because it’s the best answer. It’s okay to change directions and admit the original idea was not the best. Most readers will already be familiar with his concept made famous by Simon Sinek. If you’re not, the “Why” is what inspires people. Start there, not with what you want people to do or what you need, but why it is important. I don’t stretch enough. I run a lot when I am in marathon training season. Stretching helps alleviate all the pressure and junk built up in my muscles. It keeps you limber and helps improve performance. Leadership is a muscle too that needs relief from time to time. 64. Aim high – shoot for the stars. As a teacher, kids regularly responded to my high expectations. Do the same for the adults. Tell them all the great things you think about them and communicate your high expectations. The single best strategic organization of schools is PLCs. They organize teachers into collaborative groups instead of silos and once they are a part of the culture they provide immense value in terms of support and knowledge sharing with staff. Students also benefit because they no longer have to learn content in one sitting. They are given multiple chances to demonstrate mastery through intervention or to go deeper with their understanding through acceleration. You can read more about PLCs in my free report, The Blueprint for School Success. Conflict handled well can lead to greater intimacy and trust. If you avoid conflict why? That may be a reason to start counseling! Conflict is healthy and shows that you care about the people involved and the content of the discussion. Unresolved conflict is a culture killer and if your school is stagnant this could be the main culprit. 67. Don’t take yourself too seriously. Humans are imperfect beings. We make mistakes. Sometimes we trip or spill coffee on ourselves. I give you permission to laugh at yourself, those incidences are funny! People are turned off by those that take themselves too seriously. Loosen up! 68. Treat people as humans not cogs. Everyone plays an important role in your building. No one is dispensable. People may be ineffective in a current role, but that role is important for the organizations success. Effective school leaders acknowledge great efforts and teamwork. Celebrate the mundane. Show honor. Don’t ignore your people and treat them merely as a cog! 69. Get creative with space. The traditional school building is boring. If you have developed great partnerships or have an amazing budget make an impact on student and staff spaces. Try to design areas that are flexible, vibrant, and invite collaboration. This Pinterest board had some really great ideas. 70. Start with the end in mind. Often we ask our teachers to design lessons with the end-in-mind so they know where they want the kids to end up at the end of the year. The dirty little secret … in-effective school leaders plan the year willy-nilly and don’t plan with the end in mind. If this is the best practice for teaching why not for leadership? 71. Rely on SMART goals and revisit. How you’re going to get there. Who is responsible for what work. Just like office hours, I’ve heard that good school principals set up regular informal times to engage with parents. Having free coffee and some light breakfast goodies isn’t going to hurt parent engagement – it invites it. 73. Check with others when receiving complaints. This is a rookie mistake I made. A student has a complaint about a teacher and I assume the student’s story is 100% true and go to their defense. Don’t make that rookie mistake. Check with all staff and get curious about the situation. I’ve heard ______ is there any truth to that story? Can you help me understand why ______ is saying this about you? 74. Get the right people on the bus. A hidden Jim Collins gem! In his book, Good to Great Jim discusses how important the right people are for an organization. I’ll take a decent, humble, and hard working individual over an experienced, accomplished, and pedigree bully. 75. Use surveys (and only when you are going to do something with the data). Some leaders go survey crazy and the worst of it … they often do nothing with the data. Don’t subject anyone to a survey unless you are invested in acting as a result of what the data show. 76. ACT – stop waiting! Analysis Paralysis is a real disease and it infects many good school leaders. Make a plan, set a target date, and ACT! Everyone is afraid of jumping off a diving board the first time they do it. Even good ideas have critics. You can’t please everyone. This blog post was an EPIC one to write. I knew going into it there would be plenty of mistakes. But I still hit publish. You can always fix mistakes later. When we are upset we often tell stories of why the “other” acts a certain way. I got myself in a lot of trouble by telling a story about why a colleague of mine was always late to work. I wasn’t right and the story I told didn’t help my view of the person. Protocols are great because they provide structure and organization. Do your meetings suffer from lack of participation or worse, do you leave meetings thinking there is buy-in, but really there is only affirmation to alleviate suffering? You need protocols. Here is a ridiculously awesome list of protocols. Your life is not the school (at least it shouldn’t be). Some leaders have a 24-7 policy for the school being open. This is unhealthy. Teach strong boundaries to your staff and community by closing the school once a week and Sundays. Your football team will not suffer and the band will still be able to play. The stars of the school are the students. Invest in PBIS and reward all the great behaviors that are demonstrated in the student body. 81. Align staff celebrations with your values. Celebrating your staff is important, but it also must align to your values. If you value collaboration, but only celebrate individuals, what does that really say about your values? 82. Provide high quality and consistent feedback. People want to know where they stand with the leader. Provide consistent and valuable feedback to remove this obstacle to organizational greatness. I often forget to take pictures. Of course I still have memories and I am present during all the significant moments, but sometimes I wish I had some more mementos. Hire a photographer or employ a great student photographer and capture the golden moments at the school. 84. Be positive and enthusiastic. Debbie Downer is no fun to be around. Leaders that exude positivity and enthusiasm are like people magnets that attract positive results. 85. Mentor a group of students. You are an expert. Share what you’ve learned with your students and develop their leadership capacity. Heck – you might even develop future teachers and administrators in the process. Establish a time to read and respond to emails and do it only during that time. Otherwise you’ll constantly be checking email and not put your energy to high impact tasks. They distract leaders from important work. Don’t be a Pavlov dog. Let me be so bold to suggest making a “no email” time zone for the school. I don’t think students should ask teachers questions for the next day’s homework at midnight, nor should parents expect 24-7 access to teachers and admins. I suggest that schools should only email between 7am-7pm. That’s it. Maybe this is me on a rant, but I think a healthier life and email balance is needed. Leaders have such an awesome opportunity to move the needle on something that really matters … education. Have fun making an impact in the best industry in the world – our kids and future! …Phew! I’m wiped after creating that list and sharing a short commentary for each of the 89 tips for principals. Below you will find the other lists I mentioned in the intro. When you add my 89 with the lists below (111) you get your 200 tips! If you got value from this list, then please consider sharing with others. I highlight my favorite 1 or 2 tips for principals from each list below. Disadvantage does not need to be a barrier to achievement. If you enjoyed the post 200 Tips for Principals, then I would be honored if you commented and shared on social media. P.S. I wrote a short eBook highlighting what I learned from this year’s WCA Global Leadership Summit.